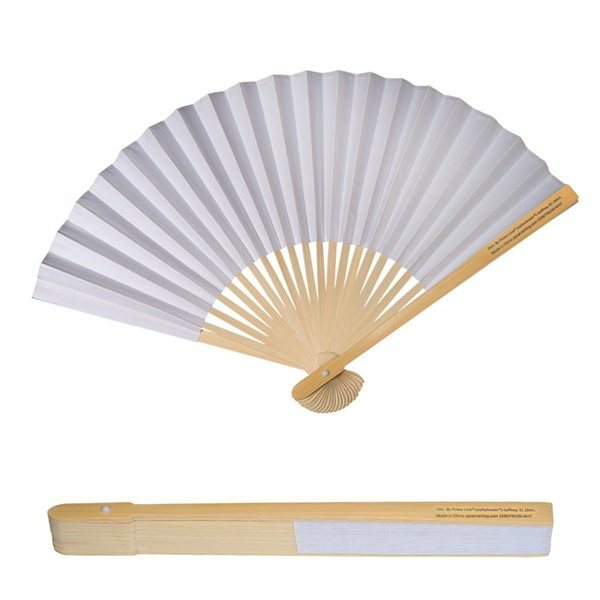 Elegant folding fan with frame crafted out of eco-friendly, naturally sustainable bamboo. Made of heavy paper with smooth bamboo frame ribbing. Features a large easy-view imprint area. Perfect for weddings & customers in the heating/cooling industries. My orders arrived before the expected date.which was great! Great feedback on the product. Quality was great and we got our orders on time, which was very important for us. Very nice for the price. Very cost effective with quality I expect. The merchandise was just as referred to and was what we expected. The artwork was wonderful and incredibly readable. thanks to Rosa for making my ordering process as smooth as possible.